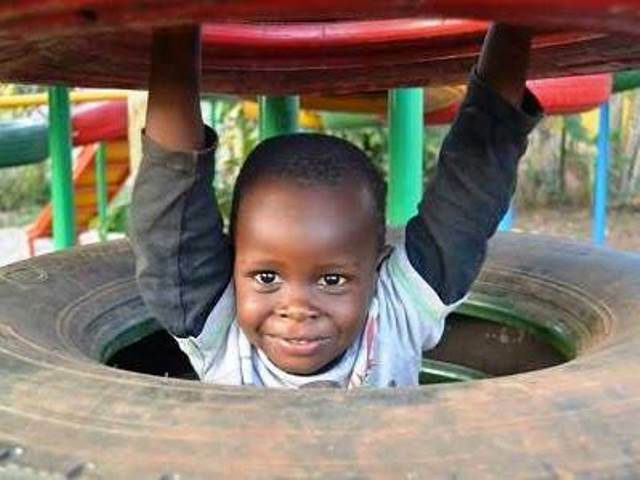 Since 2000, each year has seen the transformation of the Ugandan village of Kabubbu by the UK-based charity, Quicken Trust, and its supporters. Once in the grip of poverty, disease and despair, Kabubbu now has a future of hope, although there is still much to do. Many organisations have played key roles in supporting the project. These include Bede’s School; BA; The British Council; DFID; Burgess Hill School for Girls; Graze; The Rotary Club and Unicef. February 1999: Geoff and Geraldine Booker of the Quicken Trust visit villages in Uganda and Kenya with friends. Geraldine visits Kabubbu. February 2000: Geoff and Geraldine return with two friends for more research. Meet government ministers and local experts. Discuss priorities with village elders. Meet 400 children – many of them orphans. Agree to return to UK to tell their story. Spring 2000: Geoff and Geraldine invited to speak in schools, Rotary Clubs and churches in Sussex. Kabubbu captures people’s imagination. Fundraising begins. July 2000: First 12 orphans sponsored by UK families – the children are enrolled at school 6 miles from the village and provided with basic food and healthcare. July 2000: Third visit to Kabubbu – more resources taken. Six-acre plot for primary school identified in Kabubbu. Site purchased in August. Charity with experience in constructing schools, Ambassadors of Hope, offers help. Villagers stockpiling sand and home-produced fired bricks ready for construction. December 2000: British Airways begins supporting Quicken Trust through “Change for Good” scheme. BA funds construction of first water borehole on planned primary school site. Mid-2001: Fundraising for primary school reaches £20,000. August 2001: 72-hour sponsored “Bike Ride to Uganda” supported by hundreds of people raises £25,000 — sufficient funds now available to build school. Building starts in November 2001. 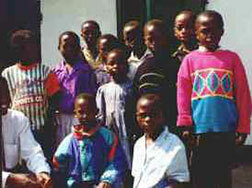 February 2002: Quicken Trust sets up the The Kabubbu Development Project as a local NGO (charity). March 2002: Kabubbu Community Primary School opened by British High Commissioner to Uganda, Tom Phillips, local MPs and area leaders. 1,000 local people attend ceremony. 60 children enrolled. 2002: More supporters and sponsors sign up after a 1 1/2 page article about Quicken Trust appears in Daily Mail. 2002: Fundraising begins for Library and Adult Literacy project. Summer 2003: Sponsored bike ride raises funds for a Health Centre. 2003: Library and Adult Literacy Centre opens. 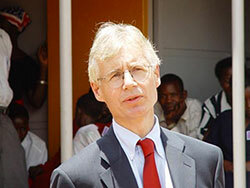 2004: Health Centre opened by British High Commissioner to Uganda, Adam Wood. Four qualified nurses. Funded by Quicken supporters, British Airways and Unicef. 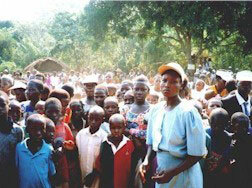 2005: Welfare project set up with grants from BA and Unicef. Five more boreholes funded by Samaritans Purse International. Autumn 2005: Tourist site constructed. First visitors arrive 2006. December 2005: Primary school choir visits UK. 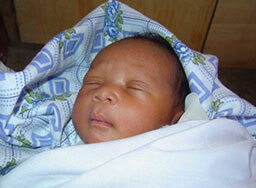 January 2006: First baby born at Kabubbu Health Centre – named Amina. July 2006: First visitors stay at Tourist site. September 2006: First sponsored Trust High School student awarded two year scholarship at a UK school to study GCSE. Autumn 2006: Adopt a Granny programme launched. 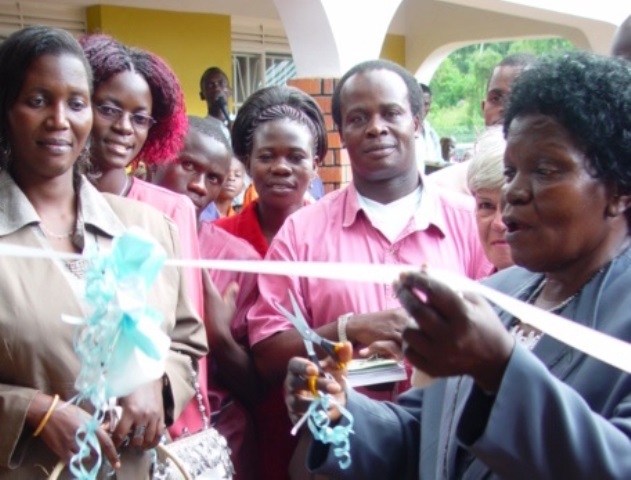 November 2006: Secondary school – Trust High School – is officially opened by Uganda Minister of Education, Geraldine Bitamazire. 90 students enrolled. 2007: Electricity comes to Kabubbu! 2007: Rotary Club of Eastbourne raises money for Kabubbu ambulance. 2007: Community Church established at Trust High School for boarders and villagers. March 2008: Kabubbu Community Church at Trust High School starts Alpha courses. July 2008: Health Centre develops HIV/AIDS clinic to provide ARVS drugs, in partnership with Mildmay Mission Hospital. October 2008: First Annual Community Award Ceremony recognising special achievements by community members. 2009: Kabubbu AIDS Support Centre built. 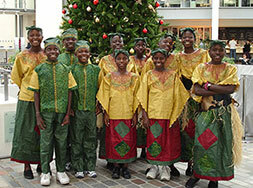 2009: Kabubbu Children’s Choir return to UK. 1,700 watch show at Congress Theatre, Eastbourne. 2009: Kabubbu schools link with Mayfield Primary School & Heathfield Community College through British Council school partnership. 2009: Graze School of Farming opens. Begins pioneering new horticulture methods. 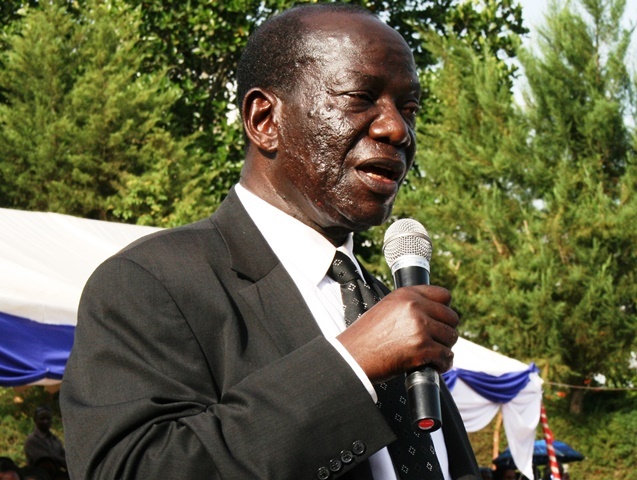 April 2010: At 10th anniversary celebrations, Rt Hon Edward Ssekandi (now Uganda’s Vice President) said, “This is the finest example of rural development I have ever seen or heard of in Uganda”. November 2010: First group of sponsored children take ‘A’ level exams. 11 students go to University. March 2011: Kabubbu Development Project links to the Uganda Maternal Hub to improve maternal and infant care and cut mortality rates. August 2011: Trust High School Girls Volleyball team become national champions and represent Uganda at East Africa finals in Tanzania. 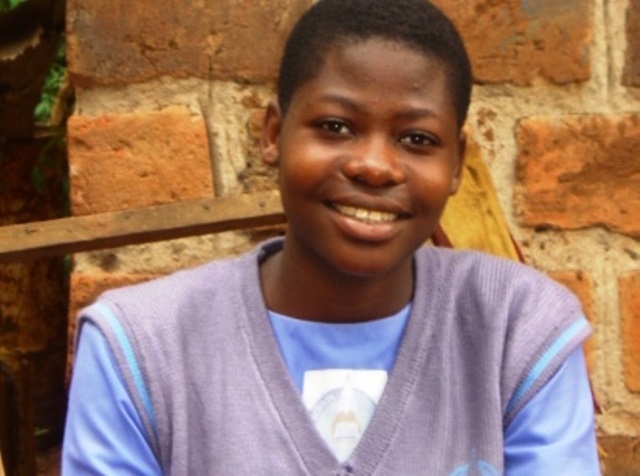 September 2011: First sponsored Trust High School student awarded 2 year scholarship to study ‘A’ levels at a UK college. February 2012: 59 students in vocational training or at University. July 2012: Final sponsored Bike Ride raises £7,500. October 2012: Graze School of Farming has trained first 15 local farmers in new maize growing techniques. Aim now to train at least 144 more. March 2013: New playground constructed for primary school and local children after Christmas 2012 fundraising reached £10,000. 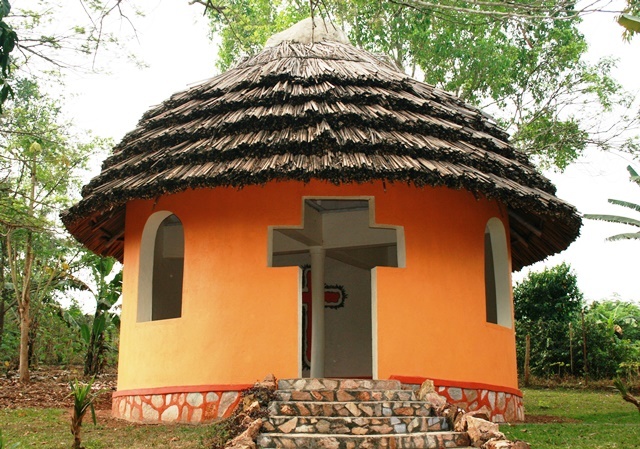 January 2014: Prayer Chapel opens on Resort site for visitors and local people to use for prayer and counselling. July 2014: 29 of the first primary school pupils in 2002 graduate from University. Skills cover a range of specialities including Clinical Medicine, Accountancy, Nursing, Teaching, Human Resource Management, Business Management etc. 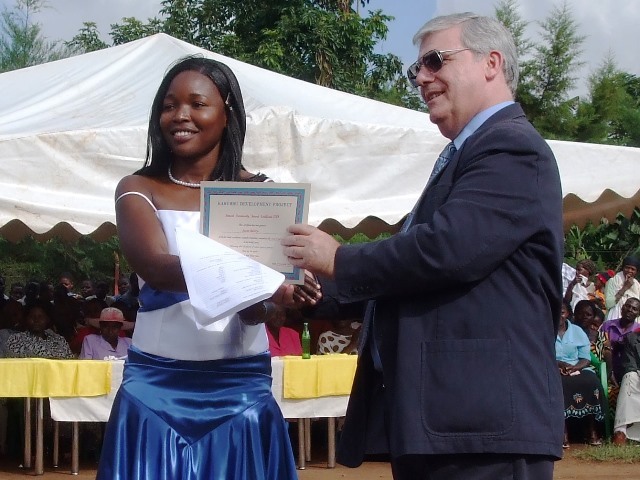 October 2014: Alison Blackburne, British High Commissioner to Kampala, presents awards at the Annual Community Award ceremony. November 2014: First Kabubbu recipient of a Commonwealth Fellowship, Enoch Kagoda, KDP Executive Director, visits the UK for senior management training. Christmas 2014: Funds raised for a Maize Mill following the success of the Graze School of Farming increasing local farmers maize yields by up to a factor of 10. April 2015: Burgess Hill School for Girls organises a container of goods & equipment to be sent to Kabubbu through the Fonthill Foundation. 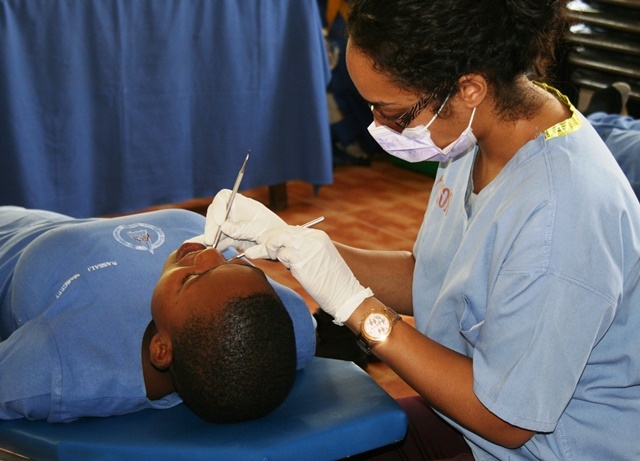 September 2015: Dentaid (a UK dental charity) begins a major dental programme in Kabubbu. October 2015: British Airways cease their direct flights to Uganda. February 2016: Maize Mill operational. 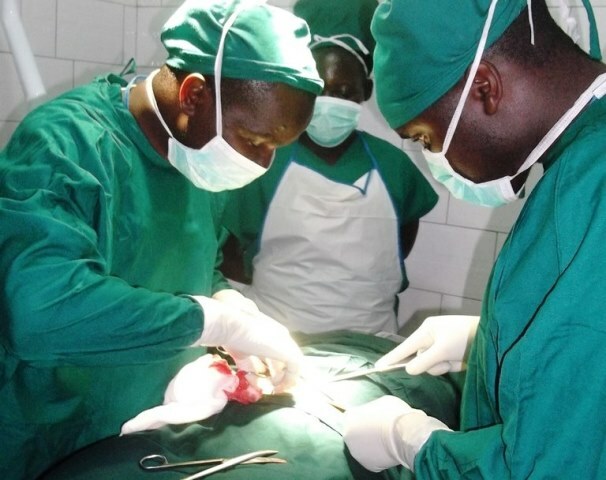 July 2016: Recently constructed operating theatre at the Health Centre performs its first operations. October 2016: Construction started for a covered market.